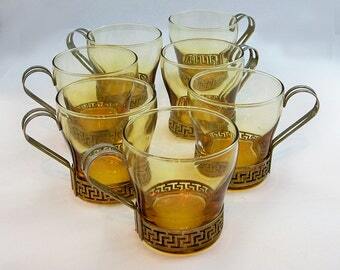 Here's a beautiful set of six (6) china coffee cups and saucers as well as six (6) bread and butter/desert plates. These were made in Japan by Sango. 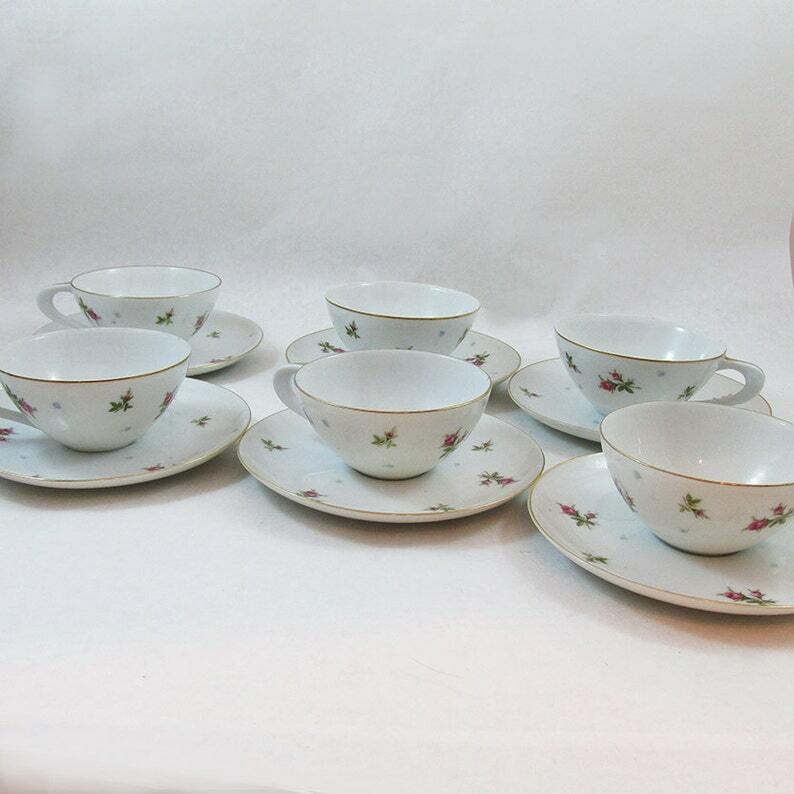 It is their CHINTZ pattern which features white china with small pink roses and tiny periwinkle blue flowers as well as gold leaf edges. The coffee cups are 2" tall and 3.75" diameter at the brim. The saucers are 6" in diameter as are the bread and butter plates. All pieces have the Sango mark on the bottom. We are dating to them to the 1960s. These dishes are in very good vintage condition with shiny finish and look like they've seen limited use. They are all free of chips, cracks or stains. There are a few small spots on where the gold leaf has worn thin but overall these are in nice shape. A Pair of Mid Century Hand-Painted Peasant Village Floral Plates - Made in Italy - 09235 "FREE USA SHIPPING"
Mid Century Arthur Singer Bird Prints - Nature Illustrations - Baltimore Oriole Print - Flora & Fauna Art - FREE USA SHIPPING!